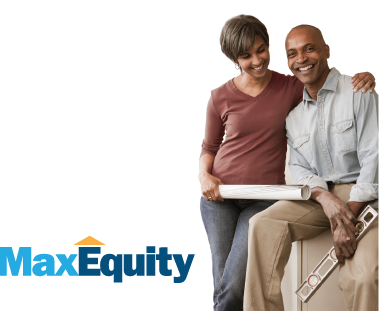 News from LMCU: Max Equity, two great ways to finance home improvements! Max Equity, two great ways to finance home improvements! Whether using MaxEquity’s Line of Credit or a Fixed Rate Loan, you can make the power of rising home values work to your advantage. Both programs allow you to pay back on your terms, and interest payments are usually tax deductible†. Works like a credit card. Variable rates as low as 3.75% APR*, tied to Prime. No application fee or pre-payment penalty. No additional underwriting or out-of-pocket costs. Visit any LMCU branch or call (800) 242-9790 to learn more. Annual Percentage Rate (APR) as of July 14, 2014. Rate assumes auto-pay from LMCU checking account. Your rate may vary depending on your specific credit terms. †Consult your tax advisor about the tax deductibility of interest. *APR will not exceed 12%. **For example, on a $20,000 loan at 2.99%, you would make 60 payments of $359.28.